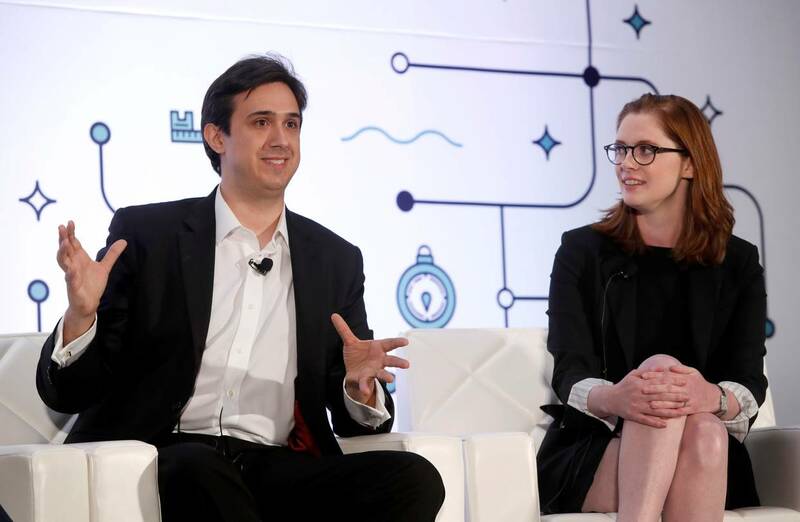 Tezos is a smart contract platform founded by couple Kathleen and Arthur Breitman. The project is overseen by the Tezos Foundation, an entity separate from the Breitmans, that manages the funds obtained from a massively successful $232 million ICO held in July 2017. The Breitmans formed a company called Dynamic Ledger Solutions which has a contract with the foundation to build the Tezos network. Once the network was up and running for an agreed upon time period, the foundation would purchase the source code and the Tezos trademark for 10% of all tokens and around $20 million in cash (or 8.5% of the ICO). Despite the successful ICO, the project had a rocky start with controversial disputes between the Breitmans and Johann Gevers - the Tezos Foundation president who wielded too much power. Gevers was the sole foundation employee with control over the ICO funds. The standoff took months to settle but Johann eventually stepped down as president in February. The project is now back on track and the betanet was just launched at the start of this month. Conceptually, Tezos is similar to Ethereum - at the root of both projects is the desire to extend Bitcoin’s functionality with smart contracts. The key difference between Tezos and Ethereum, however, is Tezos' focus on building a blockchain that can change and adapt through community consensus with as little disruption to the network as possible. The protocol achieves this through two mechanisms: on-chain governance and a self-amendment system. At a high level, on-chain governance democratizes decision-making for protocol changes while the self-amendment system allows Tezos to change itself without having to hard fork (split the network into two blockchains). Ethereum lacks both of these systems. Decision-making for protocol changes in Ethereum is largely left to a group of core developers. If users disagree with the group on any change, they often have little power in influencing the decision. Additionally, when Ethereum's protocol changes, the blockchain often needs to hard fork. Hard forks split a blockchain into two and this could also split the community if a portion of the community continues to use the old blockchain. This damages the value of the network. Tezos' self-amendment system mitigates this risk by greatly reducing the need to hard fork for a network upgrade. The developer submits the protocol change proposal. Tezos holders vote on the proposal. If the proposal passes the vote, the protocol change automatically gets implemented on Tezos' test net. The protocol change lives on the testnet for a predefined period of time. During this time, Tezos holders can recall the change at any time. At the end of this period, a confirmation vote is held and if the protocol change passes the vote, the change is promoted to the main net. This process uses the blockchain to democratize decision-making and automate protocol changes. Users can even use this process to make changes to the process itself. With such a system, Tezos should theoretically have much less hard forks which should also reduce the chances of community rifts. Tezos uses a delegated proof of stake consensus algorithm. Its block producers are called "bakers" and baking is the act of signing and publishing a block. In Bitcoin, the right to publish a block is associated with solving a proof-of-work puzzle. In Tezos, the right to publish a block is associated with winning a lottery run on the blockchain. A baker's chances of winning is proportional to the number of Tezzies it owns plus the number of Tezzies delegated to it by other Tezos users. After getting baked by a baker, a block must also have 32 endorsers endorse it. Endorsers endorse a block by baking a special transaction into it. A block's baker and endorsers are randomly drawn from a global pool of "delegates". Delegates are Tezos holders that either hold a large amount of Tezzies or have a large amount of Tezzies delegated to them. The threshold is a "roll", or 10,000 Tezzies. Finally, in order to bake or endorse a block, a delegate needs to put down a security deposit. This deposit is then locked for a fixed amount of cycles before the security deposit and a reward is given to the delegate. The security deposit for baking a block is 512 Tezzies and the security deposit for endorsing a block is 64 Tezzies. The Tezos team has stated that they view Tezos "more as a way to implement pieces of business logic than as a generic world computer". They note that most Ethereum contracts implement basic programs like multisig wallets, vesting, and distribution rules. The team also wants these pieces of business logic to have a high level of security. With these goals in mind, the team introduced a new smart contract language called Michelson. Michelson is designed to be simple. It lacks many features that are core to other languages such as polymorphism and a standard library. This doesn't impede programmers from creating simple programs but makes it harder to create arbitrary programs. Michelson's simplicity also makes it easy to perform formal verification on its programs, which the language is also optimized for. Easy formal verification makes programs written in the language more secure. Security is highly important for smart contracts since they are often handling large amounts of money. As mentioned above, the Tezos project is overseen by the Tezos Foundation, an organization established and regulated in Switzerland. It manages ICO funds and its mandate is to deploy the funds to grow the project. The Foundation has a contract with Dynamic Ledger Solutions, a company owned by Kathleen and Arthur Breitman that's tasked with building Tezos' source code. Even though Tezos is the brainchild of the Breitmans, this convoluted relationship between the Foundation and the Breitmans was established to legally distance the project from security laws. Arthur Breitman has a background in mathematics, computer science, and economics. At 18, he won a bronze medal for France in the International Olympiad in Informatics. He went on to earn a degree in applied math and computer science in École Polytechnique, one of France’s top universities. Very recently, he worked as a high-frequency trading quant at Goldman Sachs. Arthur had an intense interest in cryptocurrencies early on and followed Bitcoin and Ethereum closely. This interest led him to write two whitepapers in 2014 outlining Bitcoin and Ethereum's weaknesses, and he proposed a solution in the form of a new cryptocurrency called Tezos. Arthur is currently the CTO at Dynamic Ledger Solutions and leads a team of computer scientists and programmers building Tezos. Kathleen holds a bachelor’s degree from Cornell University. She worked as a Management Associate at Bridgewater and a Strategy Associate at Accenture and R3, an enterprise blockchain software firm. Kathleen is currently the CEO of Dynamic Ledger Solutions and leads company operations. Popular cryptocurrency personalities have written op-eds criticizing on-chain governance. They include Vlad Zamfir, Vitalik Buterin, Haseeb Qureshi, and Dean Eigenmann. I tend to agree that the concept is dubious. This governance system might give every Tezos holder a voice but wealth centralization and voter apathy can cause the system to experience the same dysfunctionalities that Bitcoin, Ethereum, and EOS could and have experienced. In addition, no governance system can satisfy everyone; at the end of the day, only one decision is made and the dissatisfied users can still fork the blockchain. Tezos weakly differentiates itself from Ethereum and is severely behind in development and community growth. In my opinion, the on-chain governance and self-amendment systems are not significant upgrades to Ethereum (many don't even believe in on-chain governance). Additionally, besides the DAO incident that happened more than 2 years ago, Ethereum hasn't run into any other significant problems with off-chain governance. The other key features that Tezos has advertised as improvements to Ethereum are: a delegated proof of stake algorithm and a more formally verifiable smart contract language. Unfortunately, these are features that Ethereum is working to implement. In fact, Ethereum is already on track to deploy a proof of stake algorithm called Casper. It’s also easy to build new languages for Ethereum’s VM. As such, any benefits Michelson provides for Tezos should be easily portable to Ethereum. Without a strong differentiating feature, Tezos has a lot of work to do to compete with Ethereum. Even worse, Tezos also needs to compete with all the other Ethereum competitors out there. Tezos is an up-and-coming smart contract platform. The project raised almost $232 million in its ICO, making it one of the most successful ICOs ever held. Despite the massive capital injection, the lack of experience of its co-founders - paired with an incompetent foundation president with too much power - placed the project in a standstill and made it highly controversial early on. The situation was finally remedied in February and the project is back on track. As a smart contract platform, Tezos is competing with Ethereum. It improves on Ethereum by introducing on-chain governance, a self-amendment system, a delegated proof of stake algorithm, and a smart contract language designed for formal verification. However, the project's main concern is that it weakly differentiates from Ethereum and thus, will face an uphill battle to gain developer and community mindshare.